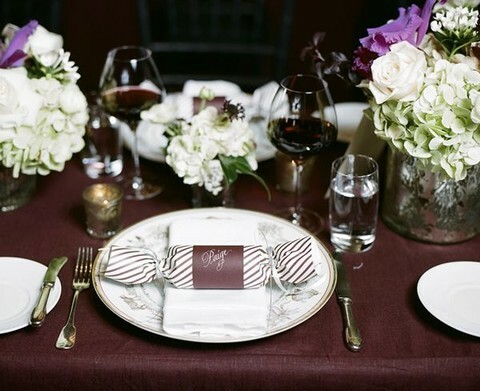 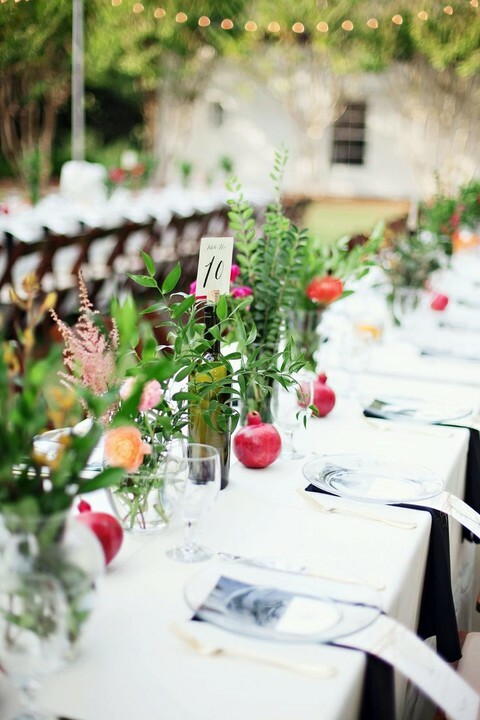 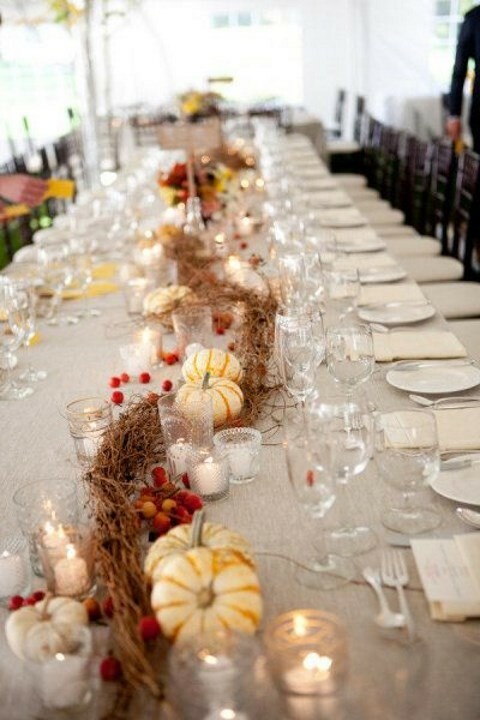 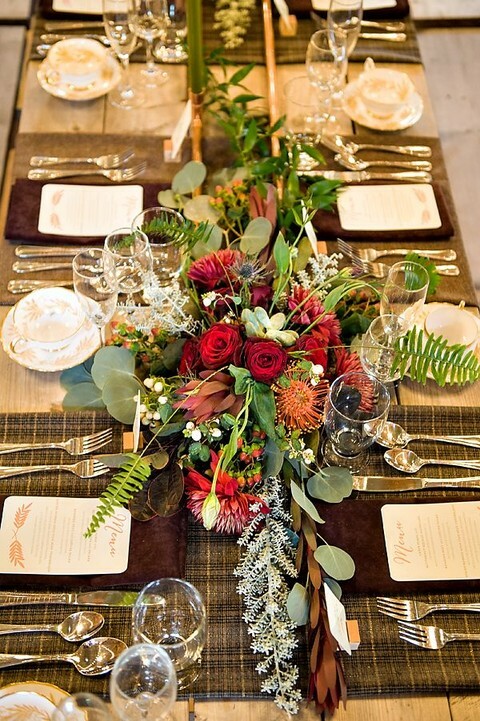 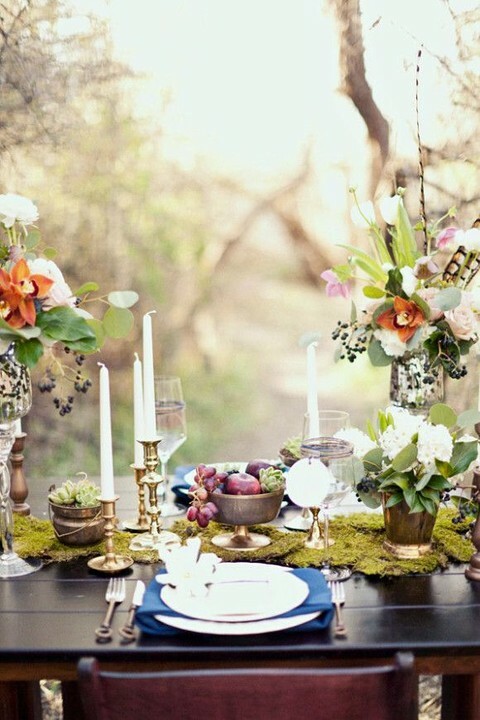 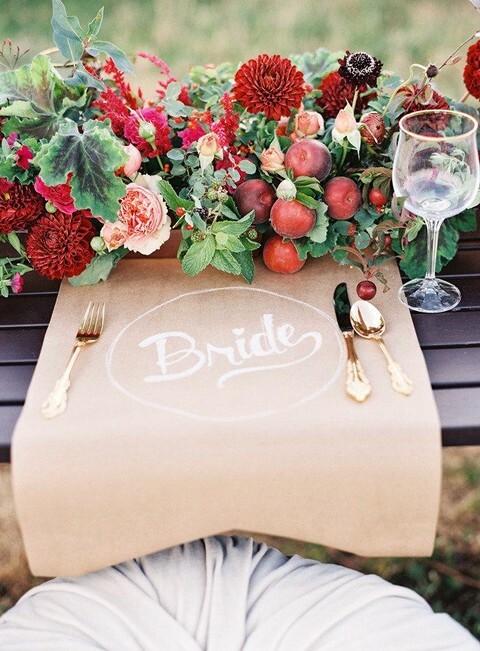 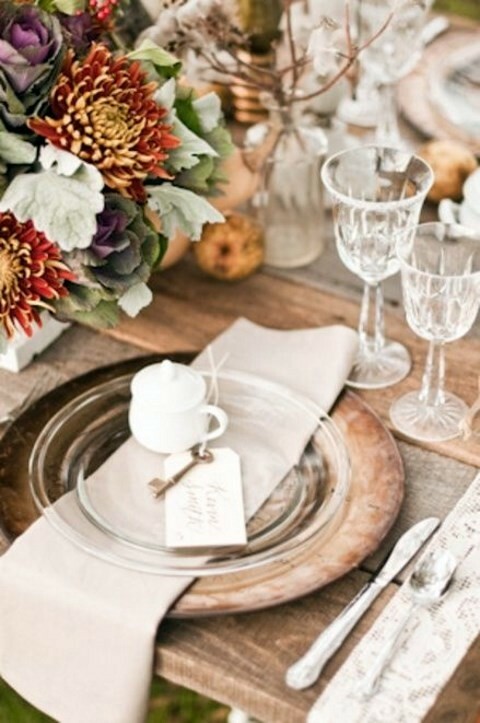 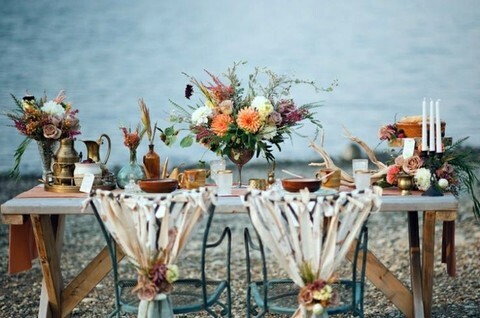 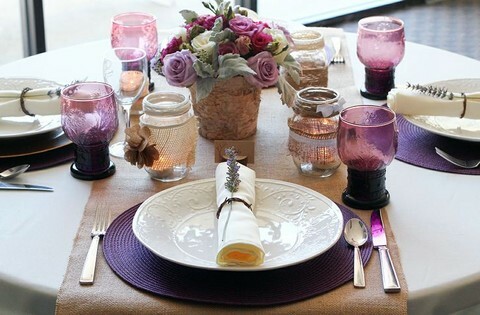 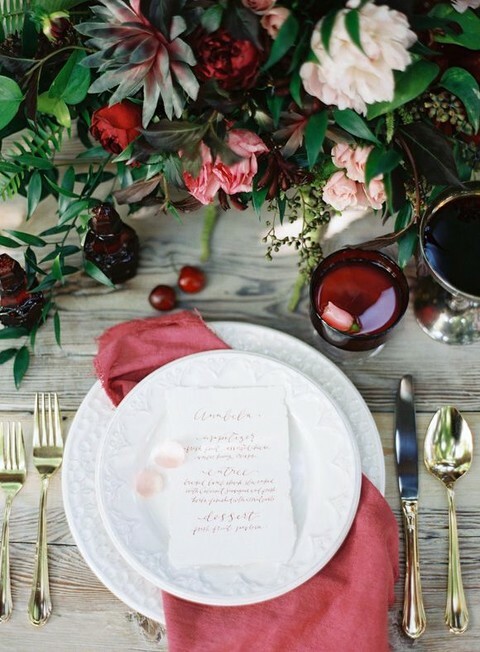 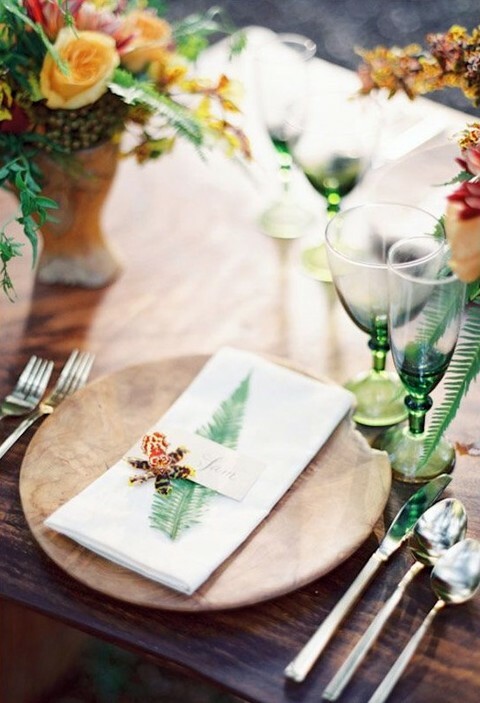 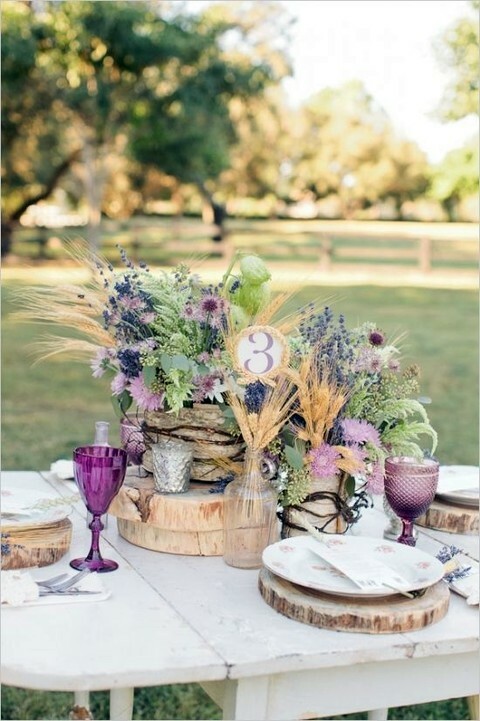 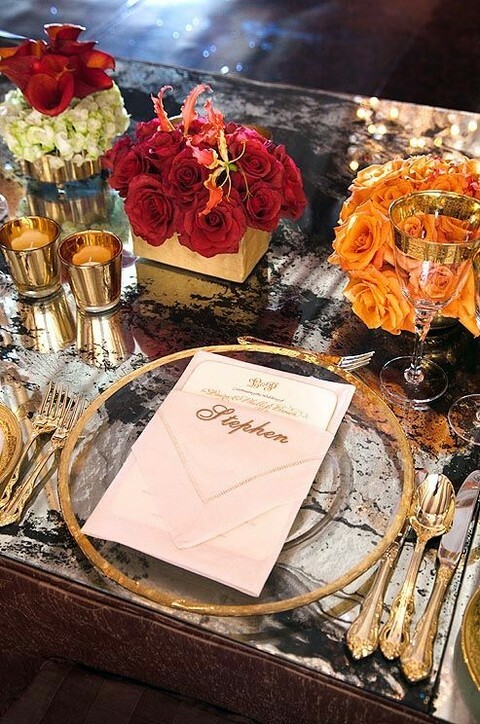 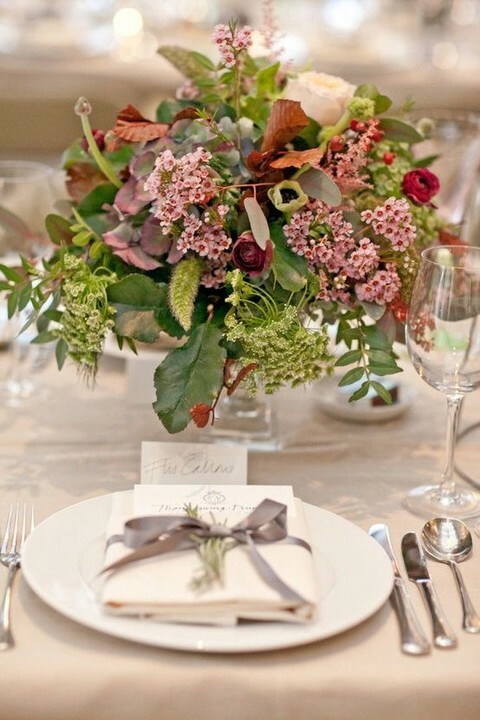 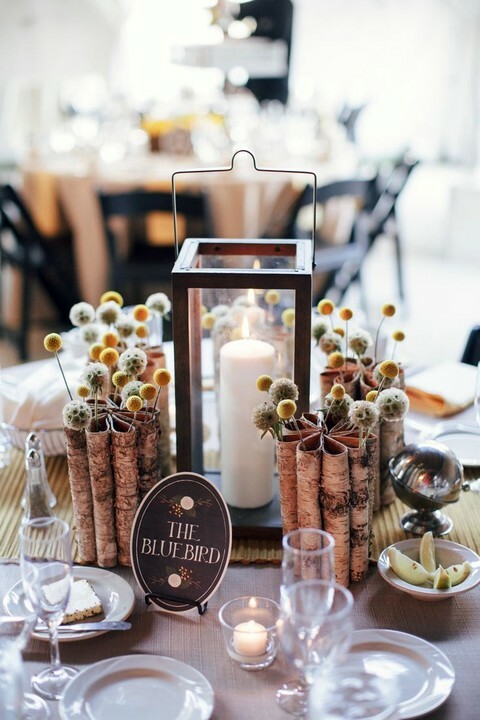 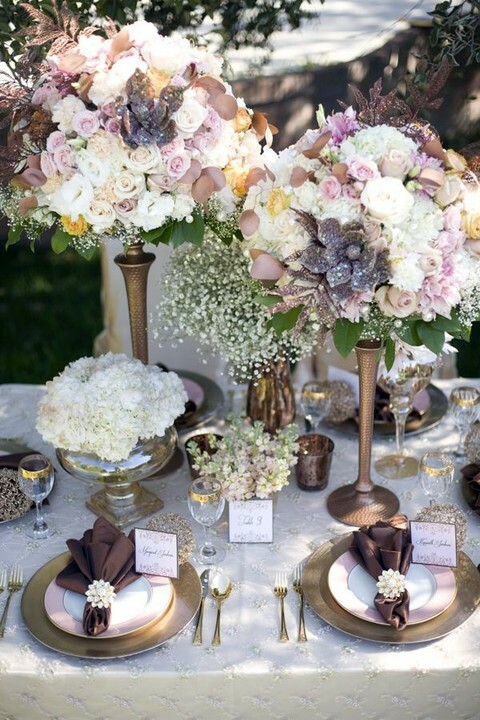 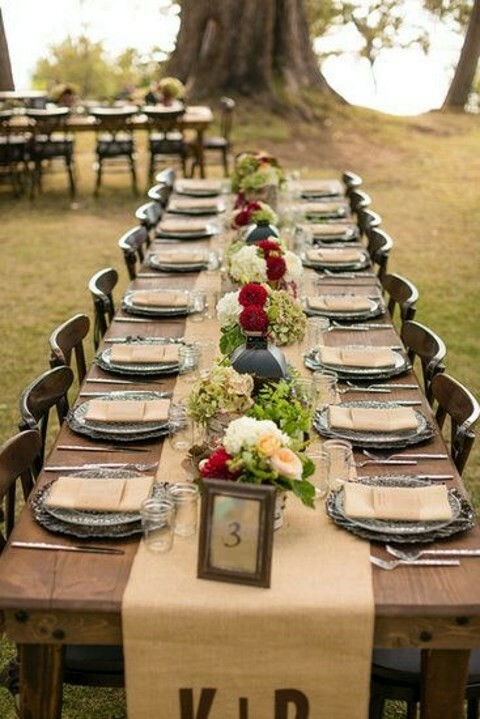 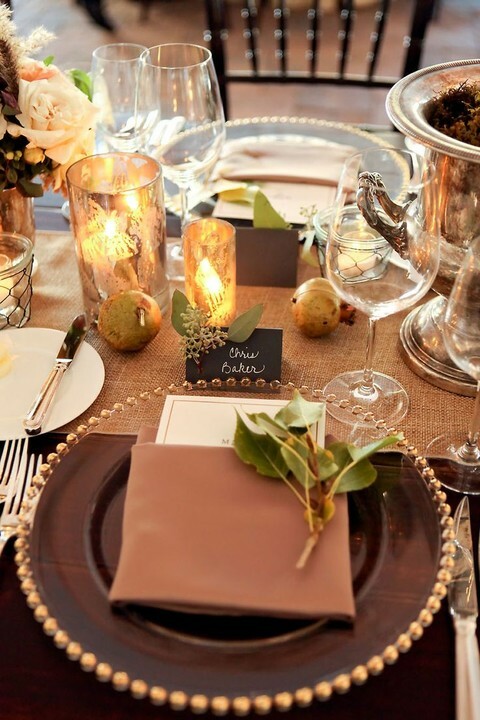 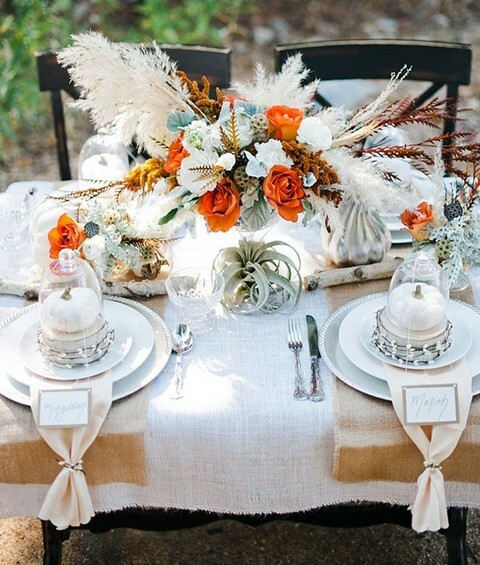 Table décor means a lot for your big day as guests spend much time sitting at it. 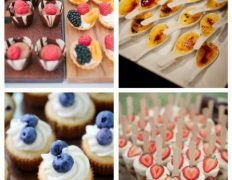 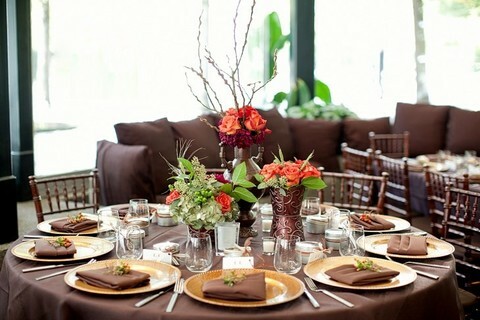 It should excite, create an atmosphere and continue your wedding theme. 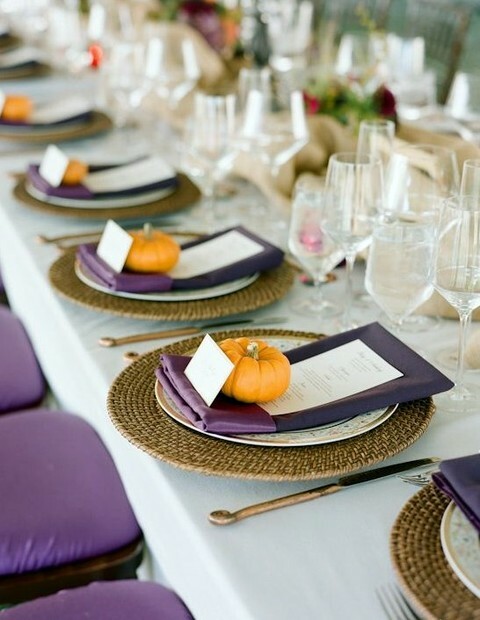 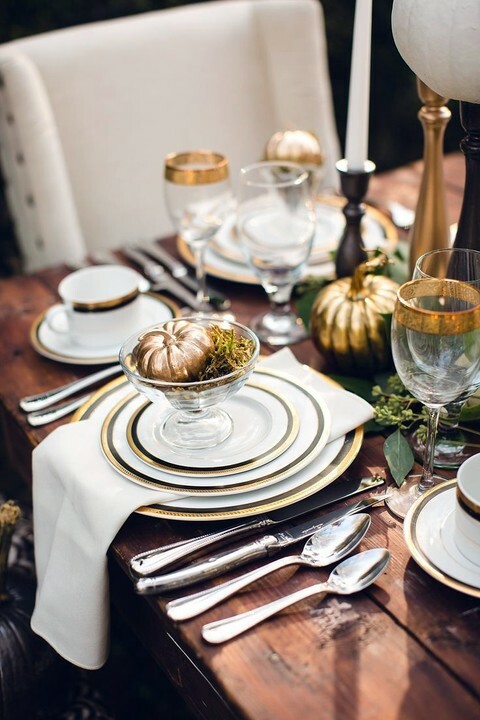 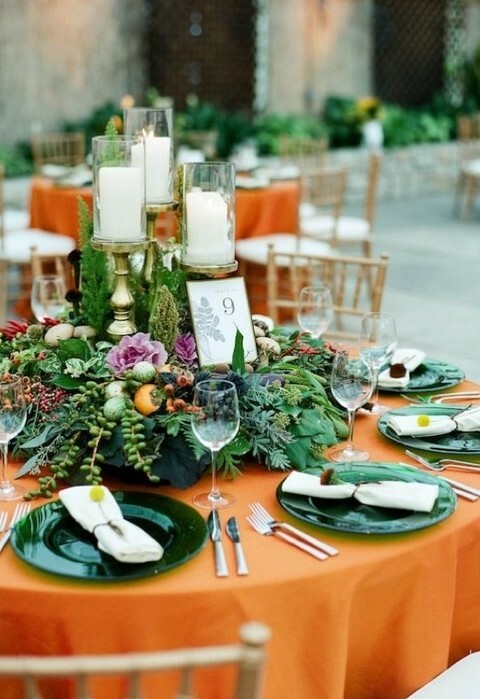 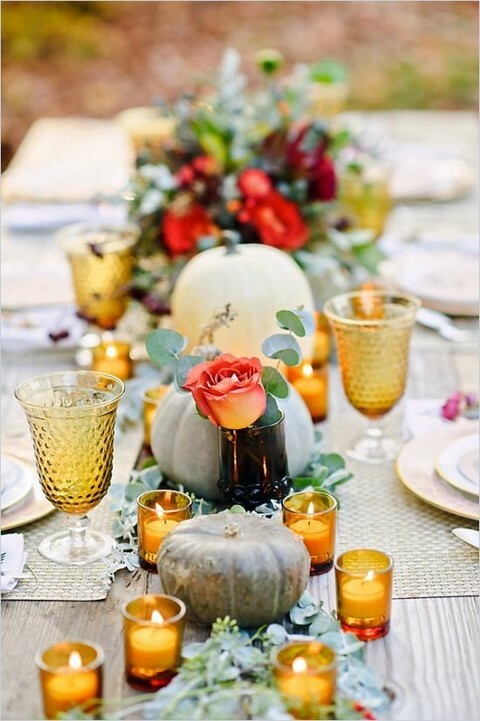 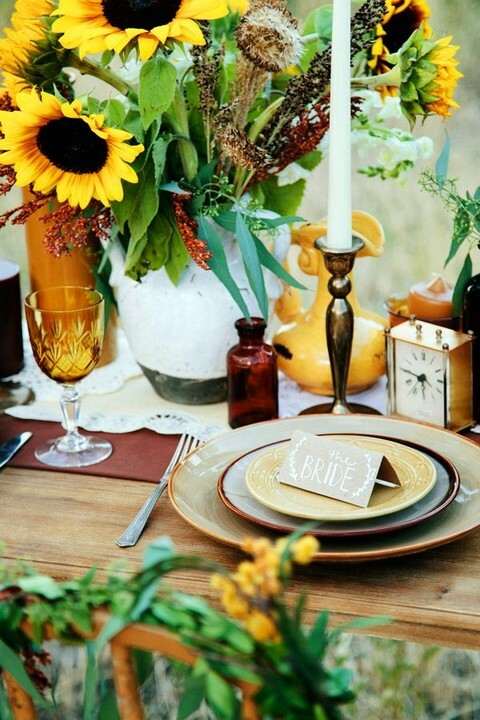 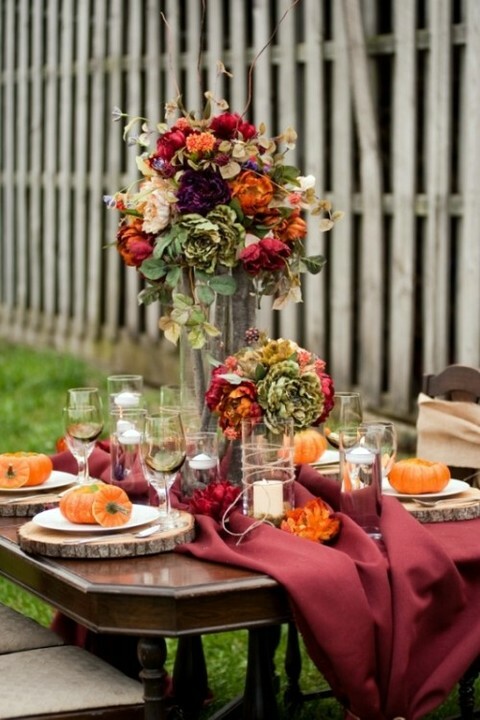 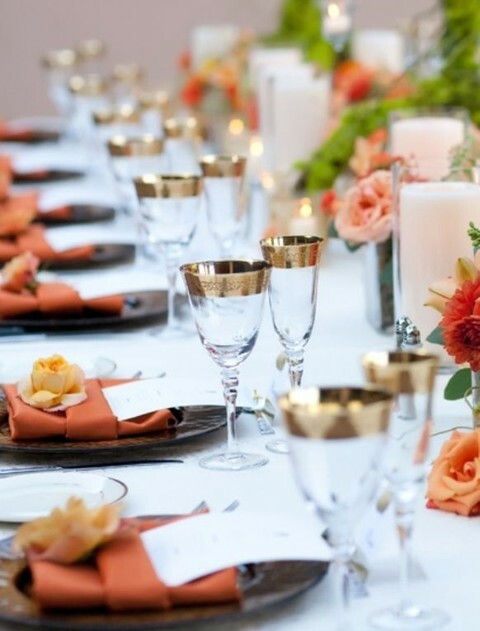 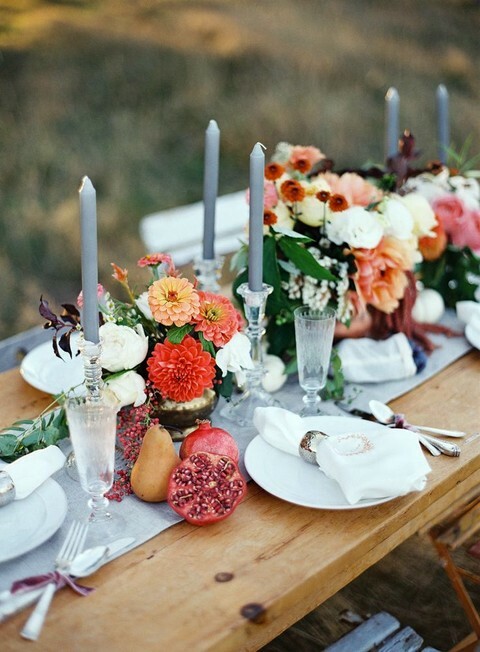 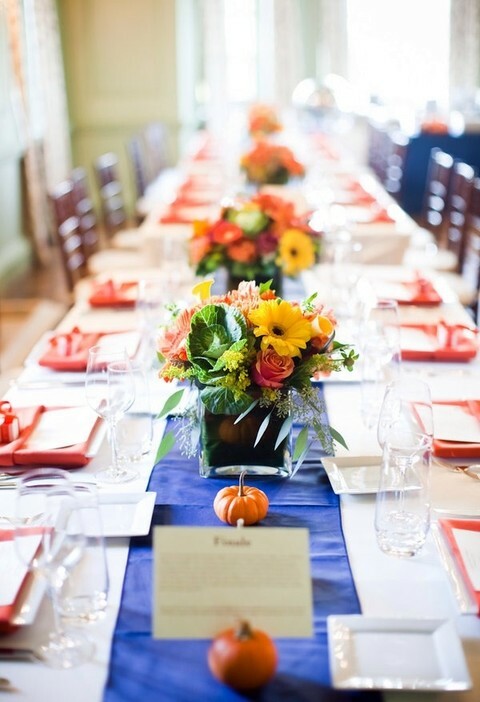 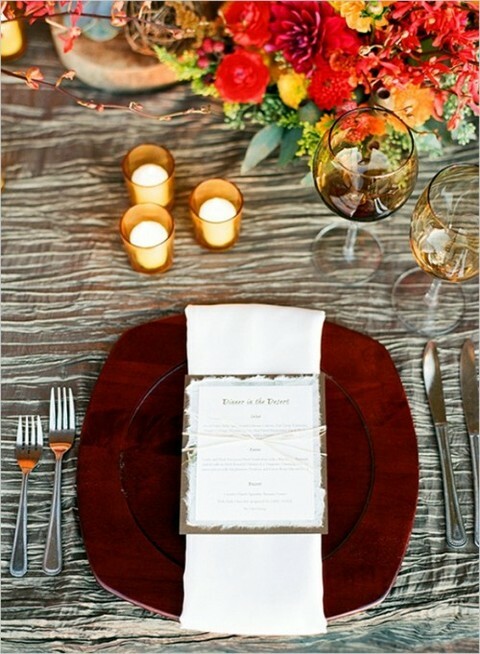 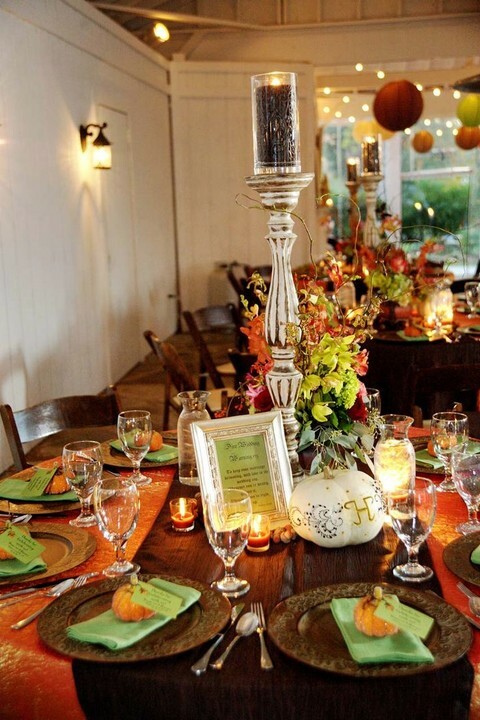 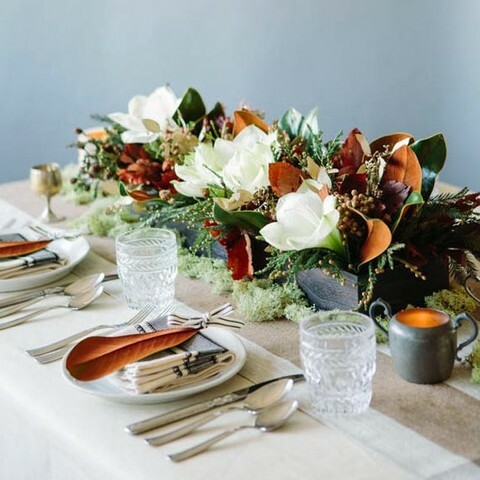 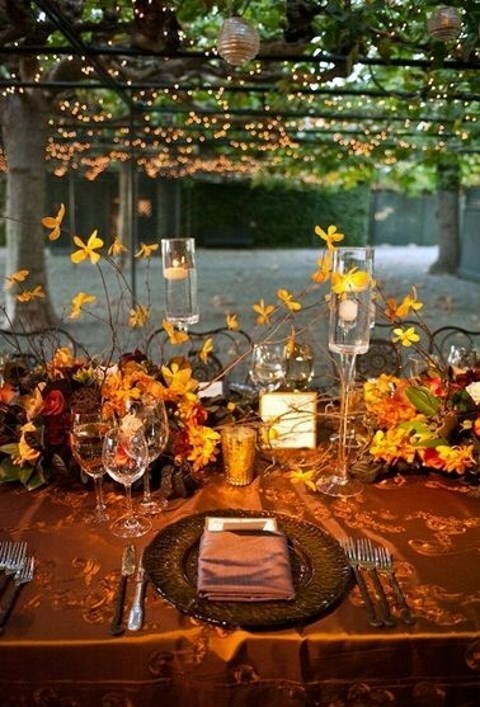 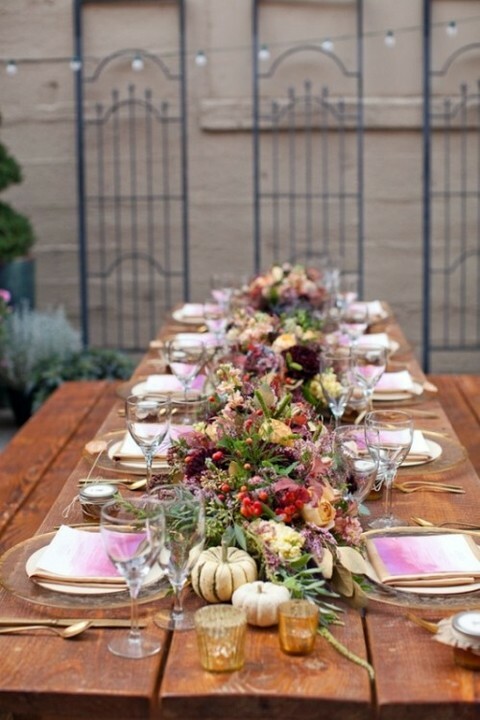 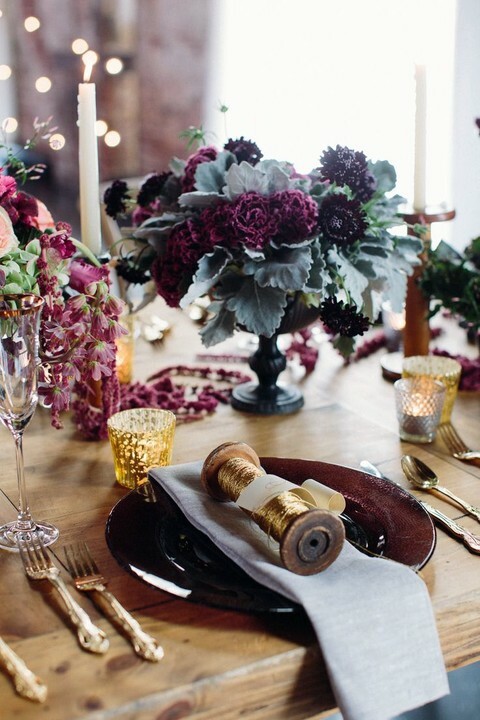 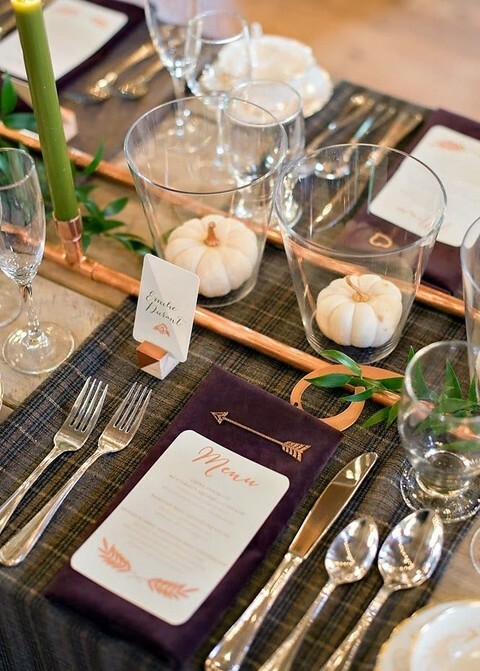 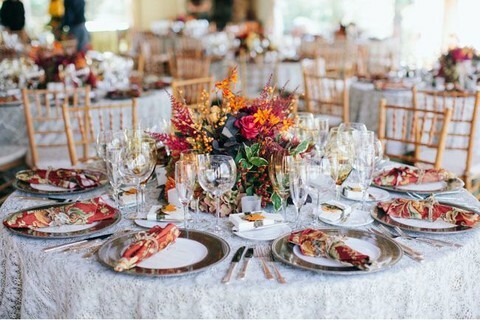 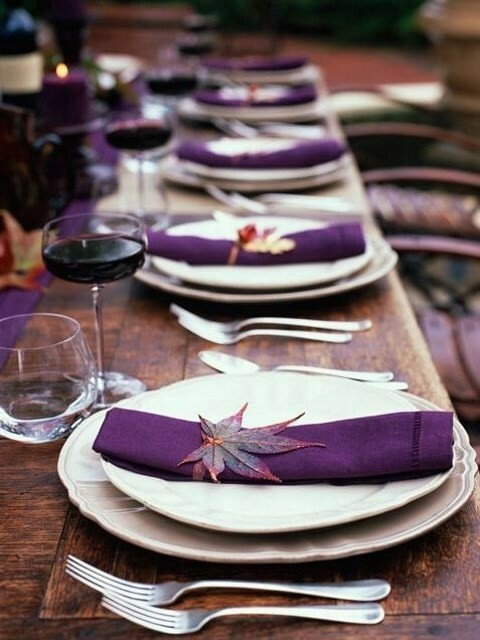 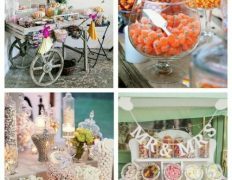 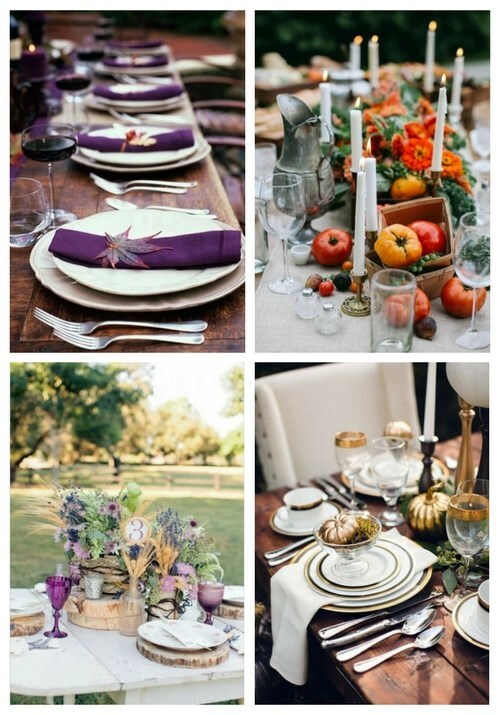 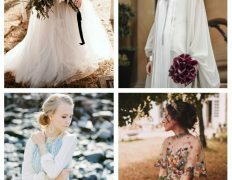 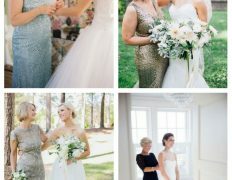 Fall weddings are extremely cozy and I love the traditional fall colors used for the décor: orange, burgundy, chocolate, black, purple and yellow. 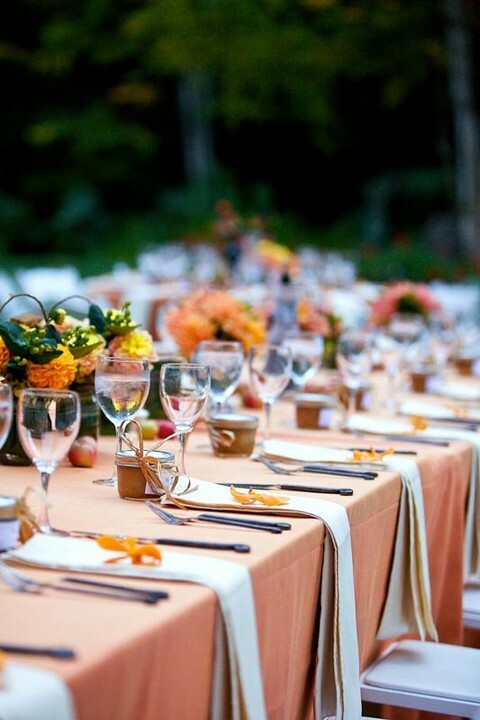 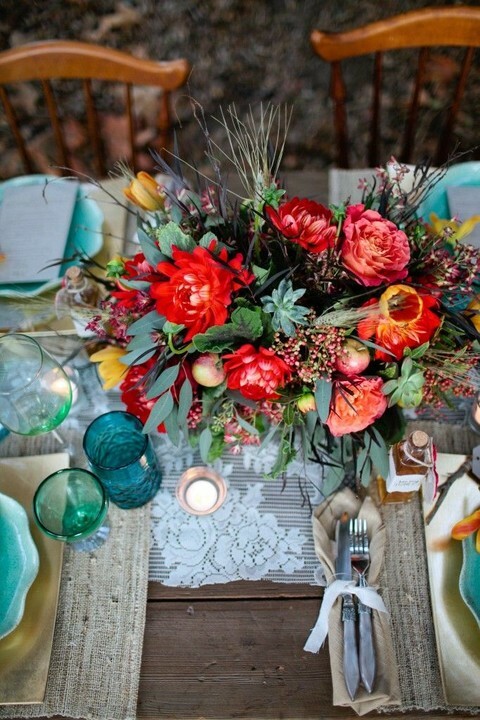 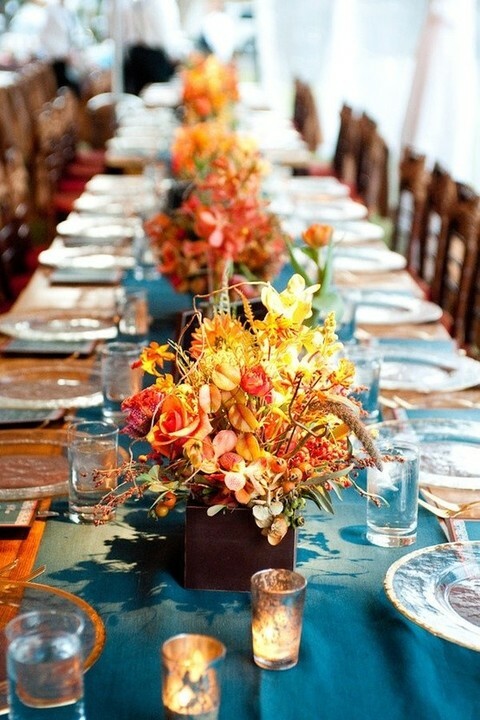 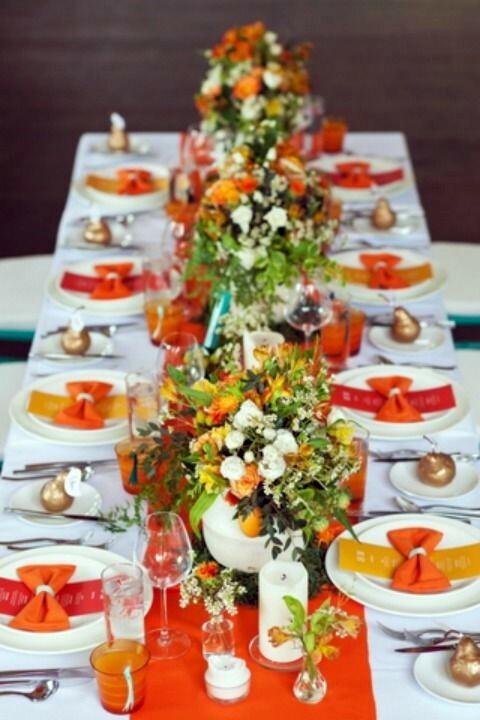 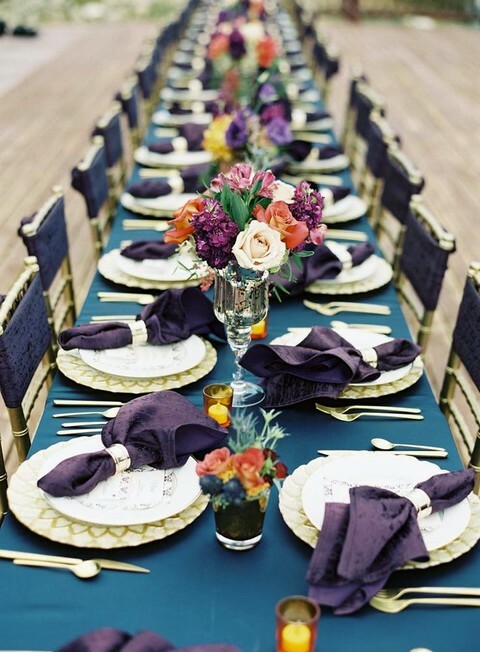 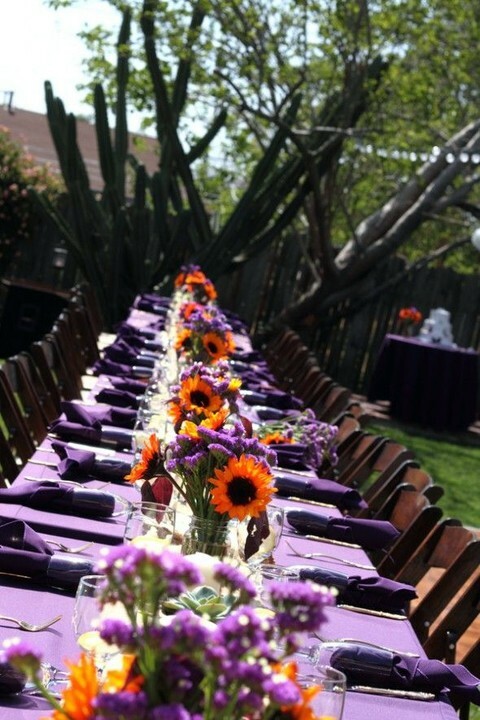 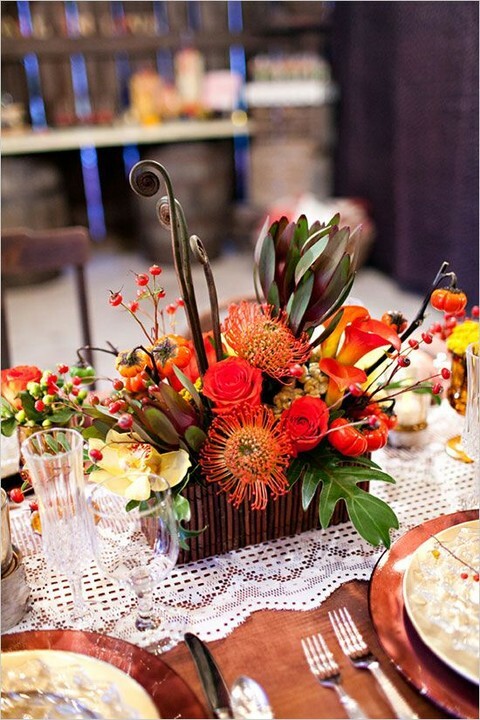 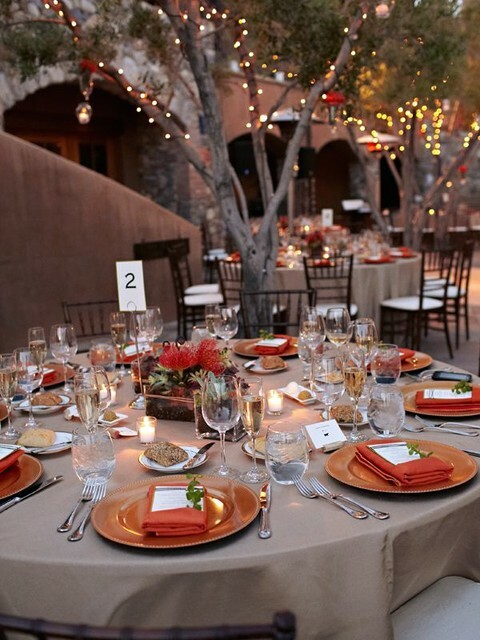 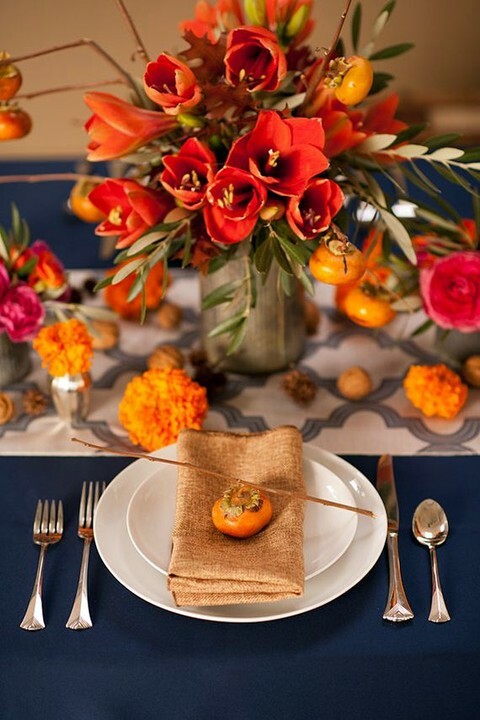 Choose your own bold color combination to enliven your wedding table but be careful not to seem excessive. 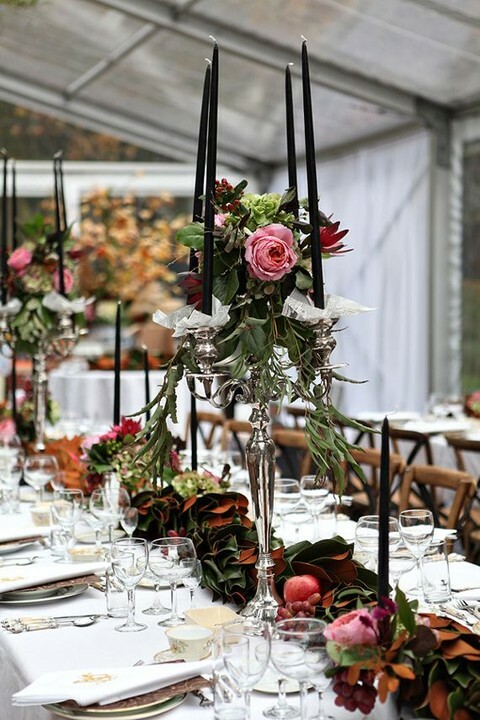 If you are not a fan of such shades, you can always go for classical black and white or blush décor ideas. 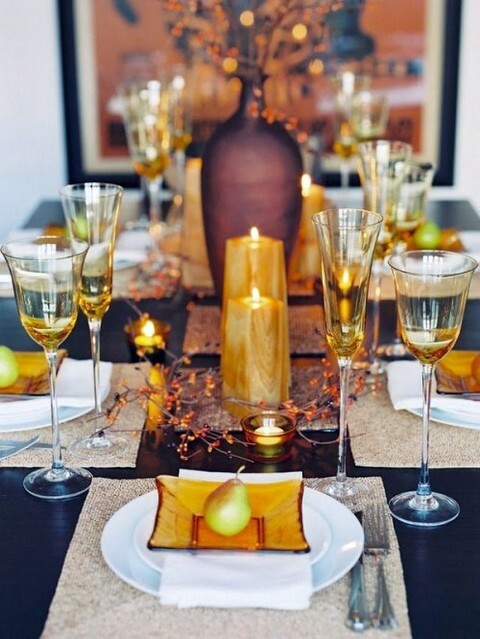 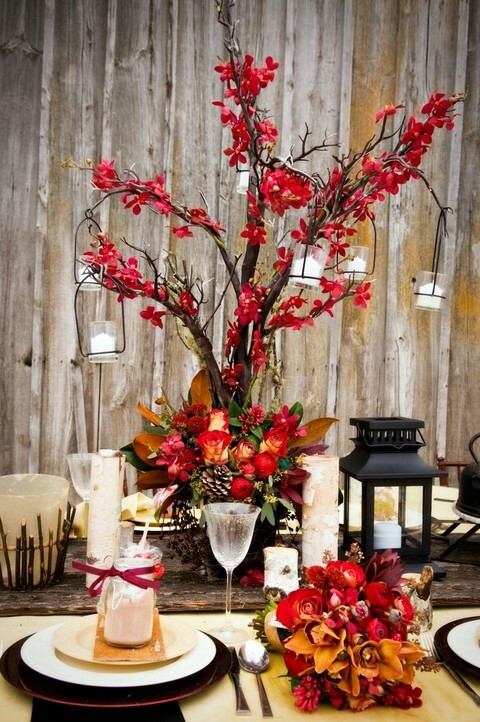 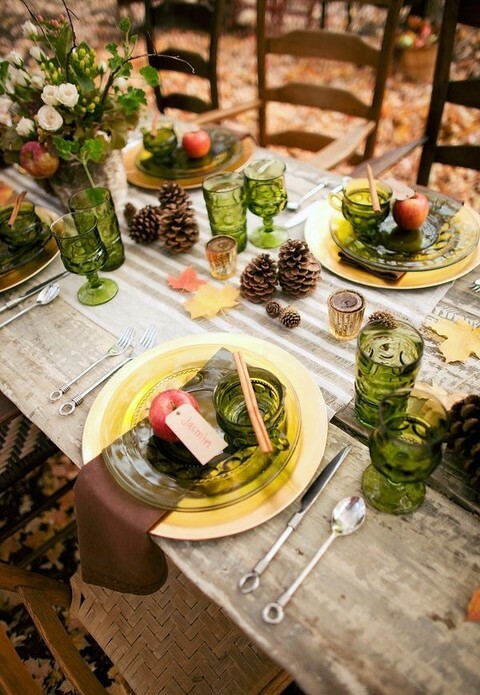 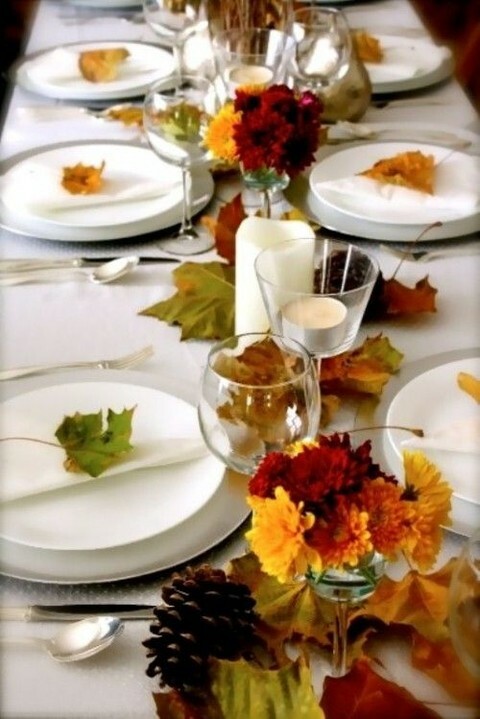 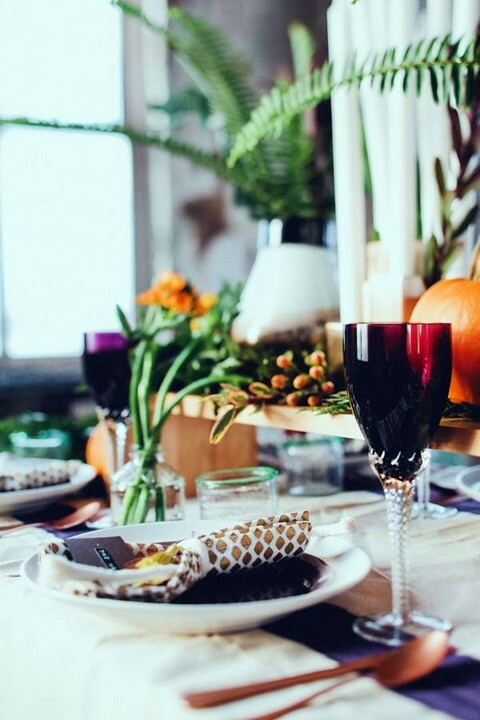 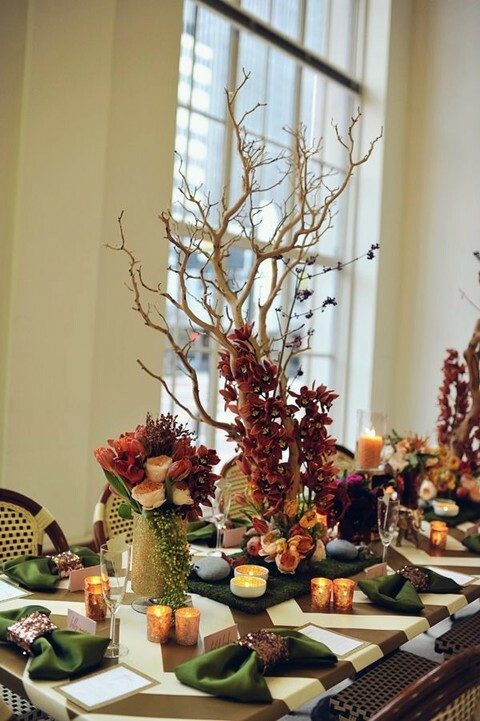 To highlight that it’s an autumn affair, you can add fall leaves, pinecones, wood slices and moss. 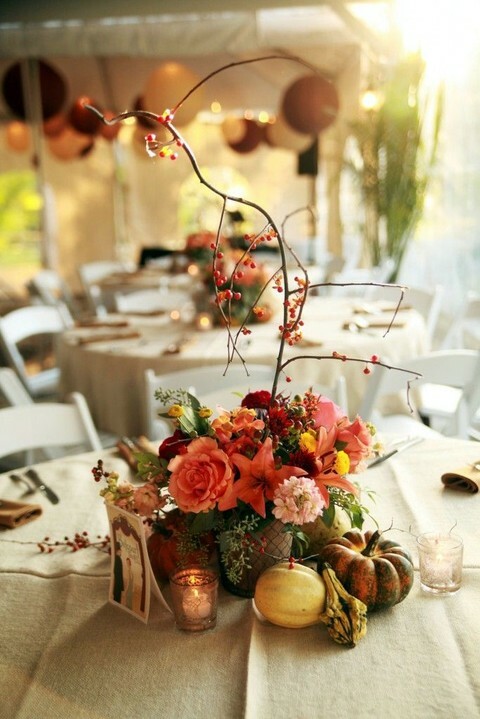 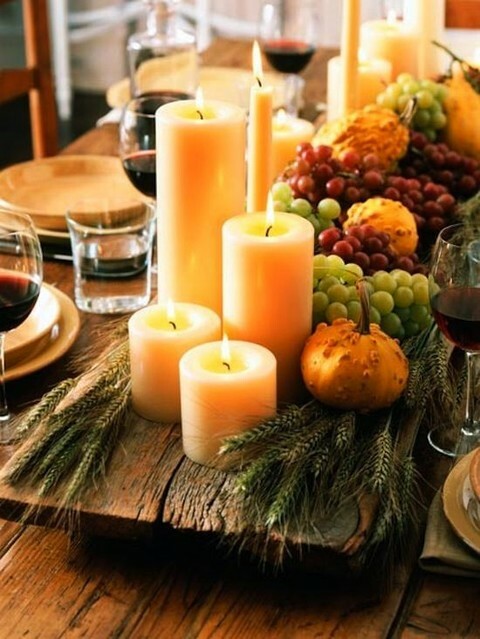 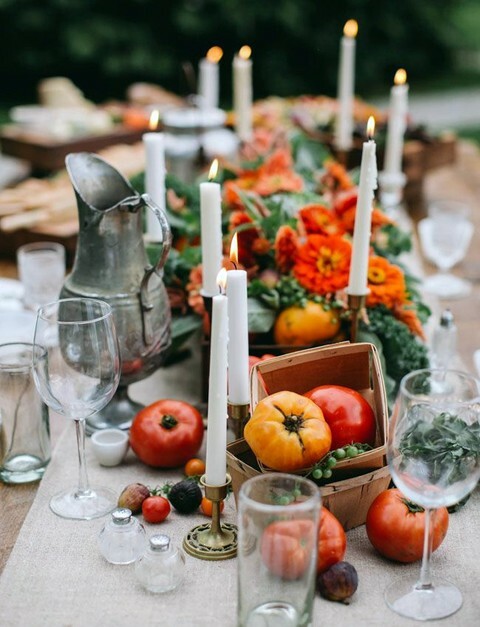 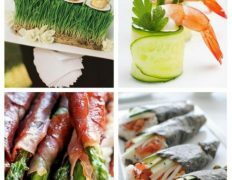 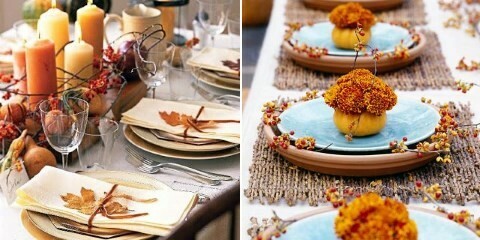 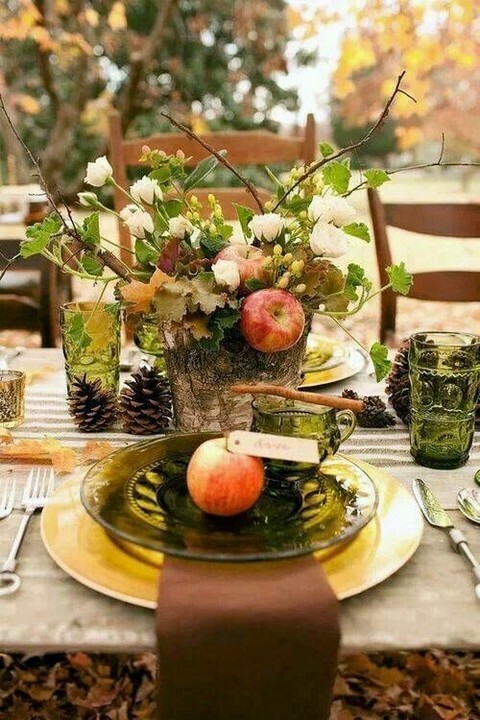 Fruit and veggie decorations are great as fall is harvest time and they are suitable for rustic weddings. 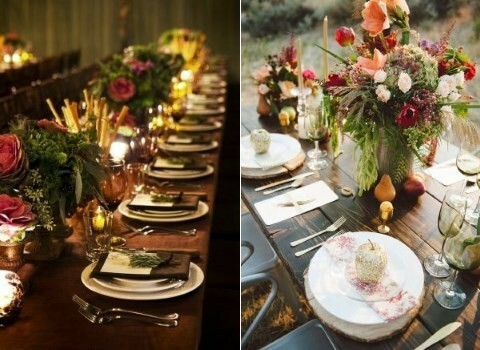 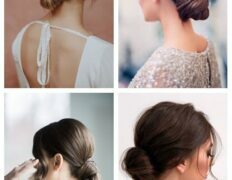 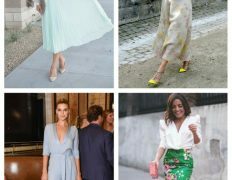 Get inspired by the stylish examples below! 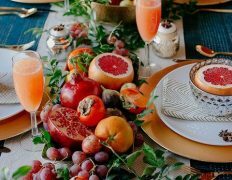 This is my first time pay a quick visit at here and i amm iin fact impressed too read everthing at single place.